You may recall that last week, a very funny video of the man we know as Don Draper and his '90s hair surfaced on the Internet. 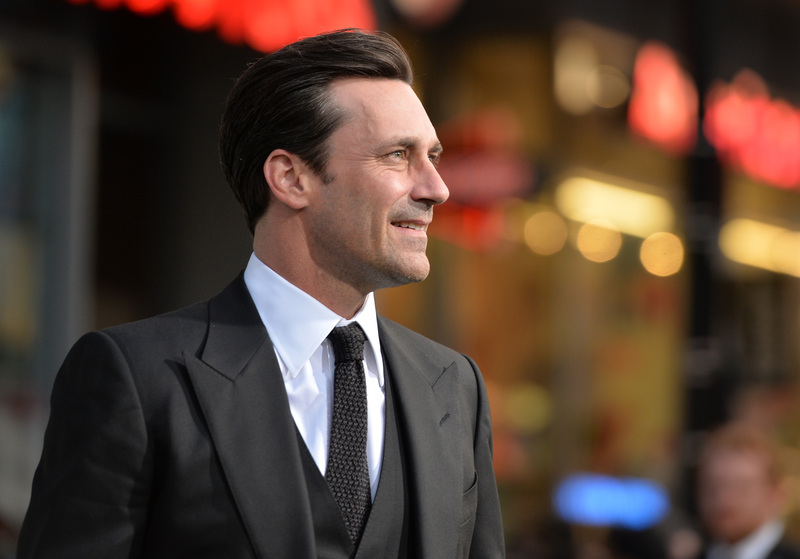 Well, he's very aware of this viral sensation and now, Jon Hamm has addressed his dating show video — and he says "he deserved to lose." Hamm opened up on Craig Ferguson's Late Late Show about his time on the dating show and the two made fun of his stupid haircut back then, because how could you not. The '90s video of Hamm looking for love on a gameshow pretty much became an instant classic because who doesn't love watching someone we know as a hyper masculine guy (he shaves three times a day, guys) say the word "fabulosity?" Craig Ferguson mentioned to Hamm that he was surprised that the foot-fetishist of a woman (she really wanted a foot massage from her prospective date, apparently) didn't pick Hamm, considering that in a mere two decades he'd become the studliest stud and the star of one of AMC's biggest shows (and by the way, part one of Season 7 of Mad Men premieres on Sunday, April 13). Hamm — fully aware of his bowl cut and word choice — asked, "Would you have picked me?!?!" And, once more, for good measure (or incase you haven't watched this gem), here's Hamm and his hair on The Big Date.